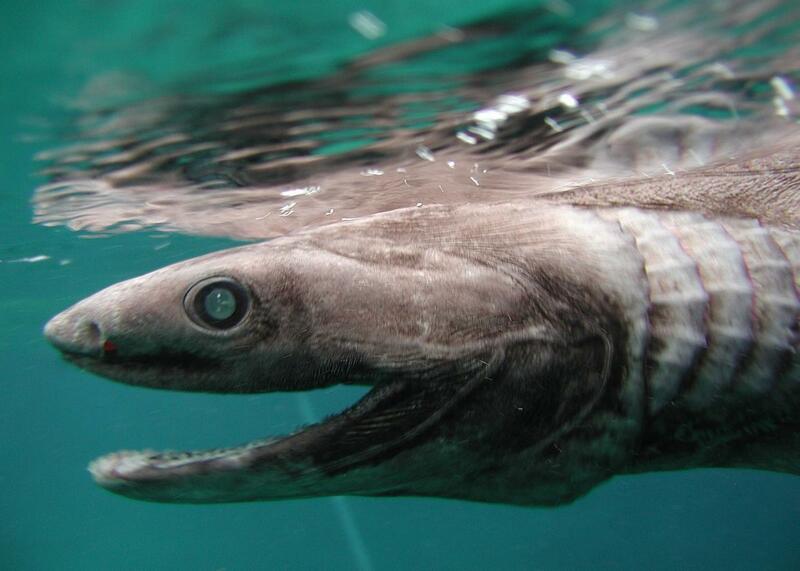 Frilled shark, with head of snake and 300 teeth, found swimming off coast of Portugal. The ocean is belching up prehistoric sea creatures left and right. The world may seem like it’s in shambles, but ocean scientists are having quite a run. Over the last year, the ocean has periodically belched up prehistoric deep sea creatures for photographing, studying, and nightmaring over. The latest find? 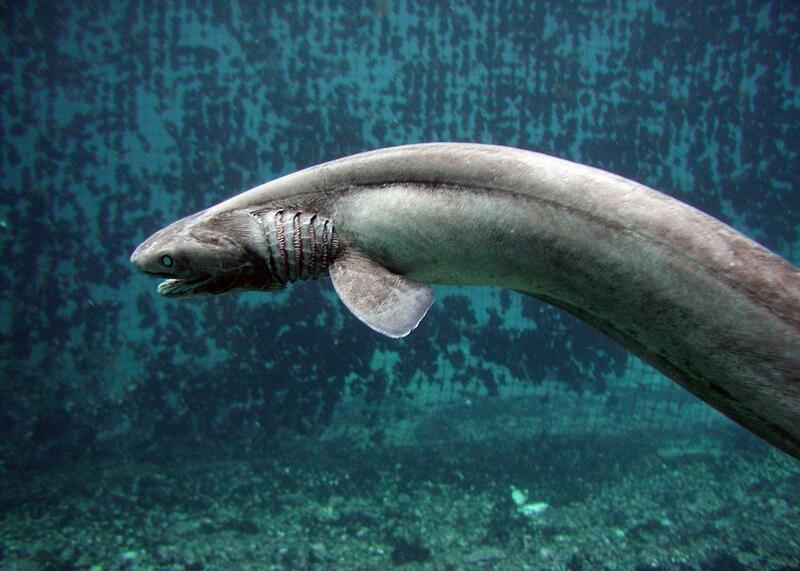 The brutishly ugly and scientifically storied frilled shark. On Thursday, scientists trawling Portuguese waters caught one of these snake-bodied beasts. The photos are, naturally, making their way around the internet. Revered as one of the last living fossils, the spade-faced swimmer, which can grow over 6 feet long, has been floating through the fossil record for the last 80 million years. 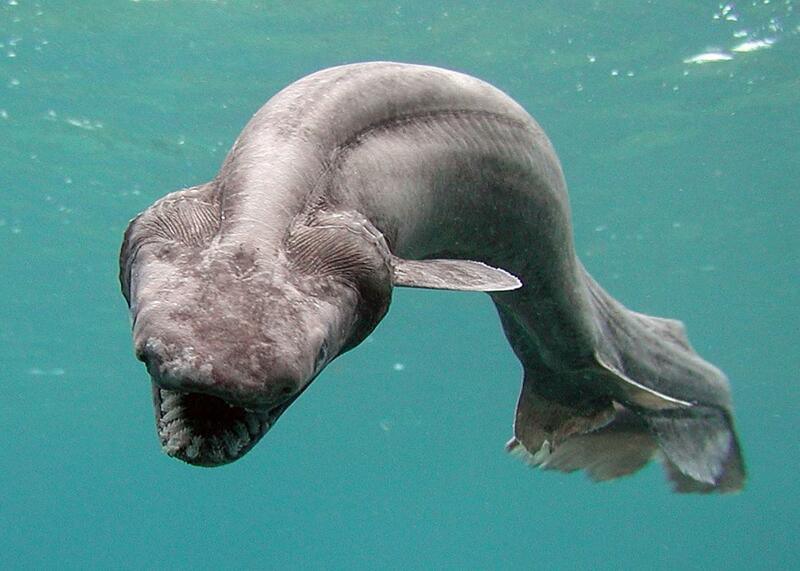 In addition to its unusual shape, the frilled shark has a number of other noteworthy features. For one, it has more than 300 teeth, in 25 orderly rows. This impressive dental array is useful when it comes to devouring its prey, which includes octopus and smaller sharks. 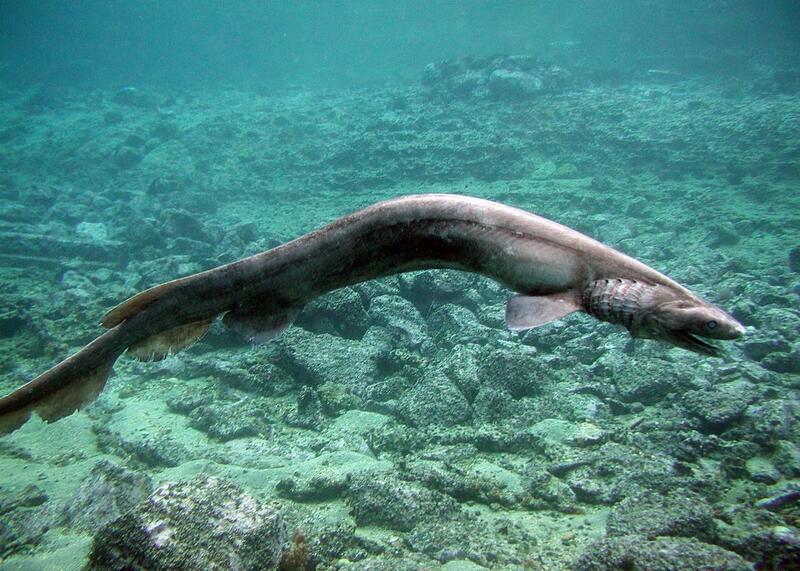 Similarly, like a snake, the frilled shark can open its “beak” wide enough to swallow prey whole. However, its hunting patterns—and much else about the shark’s life—remain mostly a mystery. The shark usually lives deeper in the bottomless depths of the ocean, making human–frilled shark interactions rare. And the frilled shark isn’t even the rarest sea sighting this year. In June, scientists encountered a faceless fish that hadn’t been seen since 1873. Like a tight-lipped—and gelatinous—demogorgon, the little guy reemerged in Sydney’s harbors after an absence that’d been stretching out over a century. Other researchers also found the world’s largest bony fish, which weighs in at a whopping two tons, and a new species of seafloor-loving sponges. In the immediate aftermath of these discoveres, people tend to feel a lot of reverence for the mysteries of the ocean, as they should. But the real excitement is slowly revealed in the resulting days and months of lab research. Scientists learned, for example, that the “faceless fish” really does have a face (sort of), it’s just buried underneath its skin. What they’ll learn about the frilled shark, though, is anyone’s guess.